GETAFE C.F. SAD 0 - 3 FUENLABRADA C.F. SAD. YUGO-U.D. SOCUÉLLAMOS 2 - 1 GUADALAJARA C.D. TOLEDO SAD C.D 0 - 2 BARAKALDO C.F. ARENAS CLUB 1 - 0 GERNIKA CLUB S.D. AMOREBIETA S.D. 0 - 1 LEIOA S.D. REAL UNION CLUB SAD 2 - 0 TALAVERA DE LA REINA C.F. REAL SOCIEDAD S.A.D. 2 - 0 LA RODA C.F. REAL MADRID CASTILLA C.F. 5 - 1 EBRO C.D. MENSAJERO C.D. 0 - 0 RAYO MAJADAHONDA C.F. FUENLABRADA C.F. SAD. 0 - 0 MENSAJERO C.D. LEIOA S.D. 0 - 2 SESTAO RIVER C.
TALAVERA DE LA REINA C.F. 1 - 0 AMOREBIETA S.D. EBRO C.D. 1 - 0 REAL SOCIEDAD S.A.D. RAYO MAJADAHONDA C.F. 1 - 2 REAL MADRID CASTILLA C.F. FUENLABRADA C.F. SAD. 1 - 0 GUADALAJARA C.D. GETAFE C.F. SAD 3 - 1 BARAKALDO C.F. YUGO-U.D. SOCUÉLLAMOS 1 - 4 GERNIKA CLUB S.D. ARENAS CLUB 5 - 0 LEIOA S.D. SESTAO RIVER C. 0 - 0 TALAVERA DE LA REINA C.F. AMOREBIETA S.D. 3 - 2 LA RODA C.F. REAL UNION CLUB SAD 2 - 1 EBRO C.D. REAL SOCIEDAD S.A.D. 0 - 0 RAYO MAJADAHONDA C.F. MENSAJERO C.D. 1 - 2 REAL MADRID CASTILLA C.F. GUADALAJARA C.D. 1 - 0 MENSAJERO C.D. BARAKALDO C.F. 1 - 0 FUENLABRADA C.F. SAD. LA RODA C.F. 0 - 0 SESTAO RIVER C.
EBRO C.D. 0 - 2 AMOREBIETA S.D. REAL MADRID CASTILLA C.F. 2 - 1 REAL SOCIEDAD S.A.D. GUADALAJARA C.D. 0 - 1 BARAKALDO C.F. FUENLABRADA C.F. SAD. 1 - 0 GERNIKA CLUB S.D. YUGO-U.D. SOCUÉLLAMOS 2 - 1 LEIOA S.D. TOLEDO SAD C.D 2 - 1 TALAVERA DE LA REINA C.F. ARENAS CLUB 0 - 0 LA RODA C.F. SESTAO RIVER C. 1 - 1 EBRO C.D. AMOREBIETA S.D. 2 - 1 RAYO MAJADAHONDA C.F. MENSAJERO C.D. 0 - 5 REAL SOCIEDAD S.A.D. BARAKALDO C.F. 1 - 0 MENSAJERO C.D. GERNIKA CLUB S.D. 0 - 0 GUADALAJARA C.D. PORTUGALETE CLUB 1 - 1 FUENLABRADA C.F. SAD. RAYO MAJADAHONDA C.F. 1 - 0 SESTAO RIVER C.
REAL MADRID CASTILLA C.F. 1 - 1 AMOREBIETA S.D. BARAKALDO C.F. 4 - 0 GERNIKA CLUB S.D. FUENLABRADA C.F. SAD. 0 - 2 LEIOA S.D. GETAFE C.F. SAD 1 - 1 TALAVERA DE LA REINA C.F. YUGO-U.D. SOCUÉLLAMOS 4 - 2 LA RODA C.F. TOLEDO SAD C.D 2 - 1 EBRO C.D. ARENAS CLUB 2 - 1 RAYO MAJADAHONDA C.F. SESTAO RIVER C. 1 - 1 REAL MADRID CASTILLA C.F. AMOREBIETA S.D. 3 - 3 REAL SOCIEDAD S.A.D. GERNIKA CLUB S.D. 3 - 1 MENSAJERO C.D. PORTUGALETE CLUB 0 - 0 BARAKALDO C.F. LEIOA S.D. 2 - 3 GUADALAJARA C.D. TALAVERA DE LA REINA C.F. 2 - 1 FUENLABRADA C.F. SAD. REAL SOCIEDAD S.A.D. 1 - 1 SESTAO RIVER C.
BARAKALDO C.F. 1 - 0 LEIOA S.D. GUADALAJARA C.D. 0 - 1 TALAVERA DE LA REINA C.F. FUENLABRADA C.F. SAD. 2 - 1 LA RODA C.F. GETAFE C.F. SAD 0 - 1 EBRO C.D. YUGO-U.D. SOCUÉLLAMOS 1 - 2 RAYO MAJADAHONDA C.F. TOLEDO SAD C.D 0 - 1 REAL MADRID CASTILLA C.F. 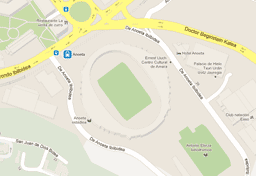 ARENAS CLUB 2 - 2 REAL SOCIEDAD S.A.D. MENSAJERO C.D. 0 - 0 AMOREBIETA S.D. PORTUGALETE CLUB 1 - 1 MENSAJERO C.D. LEIOA S.D. 2 - 2 GERNIKA CLUB S.D. TALAVERA DE LA REINA C.F. 2 - 2 BARAKALDO C.F. LA RODA C.F. 0 - 1 GUADALAJARA C.D. EBRO C.D. 3 - 3 FUENLABRADA C.F. SAD. AMOREBIETA S.D. 1 - 0 SESTAO RIVER C.
PORTUGALETE CLUB 0 - 0 LEIOA S.D. GERNIKA CLUB S.D. 3 - 3 TALAVERA DE LA REINA C.F. BARAKALDO C.F. 4 - 1 LA RODA C.F. GUADALAJARA C.D. 1 - 1 EBRO C.D. FUENLABRADA C.F. SAD. 0 - 2 RAYO MAJADAHONDA C.F. GETAFE C.F. SAD 2 - 0 REAL MADRID CASTILLA C.F. YUGO-U.D. SOCUÉLLAMOS 1 - 2 REAL SOCIEDAD S.A.D. ARENAS CLUB 0 - 1 AMOREBIETA S.D. MENSAJERO C.D. 0 - 0 SESTAO RIVER C.
LEIOA S.D. 3 - 1 MENSAJERO C.D. LA RODA C.F. 1 - 1 GERNIKA CLUB S.D. EBRO C.D. 0 - 1 BARAKALDO C.F. RAYO MAJADAHONDA C.F. 2 - 3 GUADALAJARA C.D. REAL MADRID CASTILLA C.F. 3 - 2 FUENLABRADA C.F. SAD. LEIOA S.D. 3 - 1 TALAVERA DE LA REINA C.F. PORTUGALETE CLUB 1 - 3 LA RODA C.F. GERNIKA CLUB S.D. 0 - 0 EBRO C.D. BARAKALDO C.F. 1 - 0 RAYO MAJADAHONDA C.F. GUADALAJARA C.D. 1 - 2 REAL MADRID CASTILLA C.F. FUENLABRADA C.F. SAD. 0 - 0 REAL SOCIEDAD S.A.D. YUGO-U.D. SOCUÉLLAMOS 2 - 2 AMOREBIETA S.D. TALAVERA DE LA REINA C.F. 3 - 2 MENSAJERO C.D. LA RODA C.F. 1 - 0 LEIOA S.D. RAYO MAJADAHONDA C.F. 2 - 2 GERNIKA CLUB S.D. REAL MADRID CASTILLA C.F. 0 - 0 BARAKALDO C.F. REAL SOCIEDAD S.A.D. 1 - 1 GUADALAJARA C.D. REAL UNION CLUB SAD 2 - 1 FUENLABRADA C.F. SAD. TALAVERA DE LA REINA C.F. 0 - 3 LA RODA C.F. LEIOA S.D. 2 - 0 EBRO C.D. PORTUGALETE CLUB 0 - 0 RAYO MAJADAHONDA C.F. GERNIKA CLUB S.D. 1 - 1 REAL MADRID CASTILLA C.F. BARAKALDO C.F. 2 - 1 REAL SOCIEDAD S.A.D. FUENLABRADA C.F. SAD. 2 - 1 AMOREBIETA S.D. GETAFE C.F. SAD 1 - 2 SESTAO RIVER C.
LA RODA C.F. 2 - 0 MENSAJERO C.D. EBRO C.D. 3 - 0 TALAVERA DE LA REINA C.F. RAYO MAJADAHONDA C.F. 2 - 3 LEIOA S.D. REAL SOCIEDAD S.A.D. 2 - 1 GERNIKA CLUB S.D. AMOREBIETA S.D. 4 - 0 GUADALAJARA C.D. SESTAO RIVER C. 1 - 0 FUENLABRADA C.F. SAD. LA RODA C.F. 0 - 2 EBRO C.D. TALAVERA DE LA REINA C.F. 2 - 2 RAYO MAJADAHONDA C.F. LEIOA S.D. 1 - 1 REAL MADRID CASTILLA C.F. PORTUGALETE CLUB 0 - 1 REAL SOCIEDAD S.A.D. GUADALAJARA C.D. 0 - 1 SESTAO RIVER C.
MENSAJERO C.D. 1 - 1 EBRO C.D. RAYO MAJADAHONDA C.F. 1 - 0 LA RODA C.F. REAL MADRID CASTILLA C.F. 1 - 1 TALAVERA DE LA REINA C.F. REAL SOCIEDAD S.A.D. 2 - 1 LEIOA S.D. ARENAS CLUB 2 - 1 GUADALAJARA C.D. EBRO C.D. 2 - 1 RAYO MAJADAHONDA C.F. LA RODA C.F. 2 - 2 REAL MADRID CASTILLA C.F. TALAVERA DE LA REINA C.F. 3 - 0 REAL SOCIEDAD S.A.D. PORTUGALETE CLUB 3 - 2 AMOREBIETA S.D. GERNIKA CLUB S.D. 0 - 0 SESTAO RIVER C.
GETAFE C.F. SAD 3 - 0 MENSAJERO C.D. PORTUGALETE CLUB 1 - 2 SESTAO RIVER C.
LEIOA S.D. 1 - 3 AMOREBIETA S.D. LA RODA C.F. 4 - 1 REAL SOCIEDAD S.A.D. EBRO C.D. 0 - 1 REAL MADRID CASTILLA C.F. RAYO MAJADAHONDA C.F. 2 - 1 MENSAJERO C.D. MENSAJERO C.D. 2 - 0 FUENLABRADA C.F. SAD. GETAFE C.F. SAD 1 - 2 GUADALAJARA C.D. YUGO-U.D. SOCUÉLLAMOS 2 - 4 BARAKALDO C.F. TOLEDO SAD C.D 1 - 0 GERNIKA CLUB S.D. SESTAO RIVER C. 1 - 0 LEIOA S.D. AMOREBIETA S.D. 3 - 0 TALAVERA DE LA REINA C.F. REAL UNION CLUB SAD 5 - 1 LA RODA C.F. REAL SOCIEDAD S.A.D. 1 - 1 EBRO C.D. REAL MADRID CASTILLA C.F. 4 - 0 RAYO MAJADAHONDA C.F. GUADALAJARA C.D. 1 - 3 FUENLABRADA C.F. SAD. TALAVERA DE LA REINA C.F. 0 - 1 SESTAO RIVER C.
LA RODA C.F. 2 - 0 AMOREBIETA S.D. RAYO MAJADAHONDA C.F. 0 - 2 REAL SOCIEDAD S.A.D. REAL MADRID CASTILLA C.F. 1 - 0 MENSAJERO C.D. MENSAJERO C.D. 1 - 0 GUADALAJARA C.D. GETAFE C.F. SAD 0 - 1 GERNIKA CLUB S.D. TOLEDO SAD C.D 2 - 1 LEIOA S.D. ARENAS CLUB 2 - 0 TALAVERA DE LA REINA C.F. SESTAO RIVER C. 1 - 0 LA RODA C.F. AMOREBIETA S.D. 0 - 1 EBRO C.D. REAL UNION CLUB SAD 1 - 0 RAYO MAJADAHONDA C.F. BARAKALDO C.F. 3 - 2 GUADALAJARA C.D. GERNIKA CLUB S.D. 3 - 1 FUENLABRADA C.F. SAD. EBRO C.D. 0 - 0 SESTAO RIVER C.
RAYO MAJADAHONDA C.F. 1 - 1 AMOREBIETA S.D. REAL SOCIEDAD S.A.D. 4 - 0 MENSAJERO C.D. MENSAJERO C.D. 0 - 1 BARAKALDO C.F. GUADALAJARA C.D. 2 - 2 GERNIKA CLUB S.D. GETAFE C.F. SAD 3 - 1 LEIOA S.D. YUGO-U.D. SOCUÉLLAMOS 1 - 0 TALAVERA DE LA REINA C.F. TOLEDO SAD C.D 1 - 0 LA RODA C.F. ARENAS CLUB 2 - 0 EBRO C.D. SESTAO RIVER C. 1 - 0 RAYO MAJADAHONDA C.F. AMOREBIETA S.D. 1 - 4 REAL MADRID CASTILLA C.F. REAL UNION CLUB SAD 3 - 1 REAL SOCIEDAD S.A.D. PORTUGALETE CLUB 0 - 2 GUADALAJARA C.D. LEIOA S.D. 0 - 0 FUENLABRADA C.F. SAD. REAL MADRID CASTILLA C.F. 3 - 1 SESTAO RIVER C.
REAL UNION CLUB SAD 2 - 3 MENSAJERO C.D. MENSAJERO C.D. 2 - 0 GERNIKA CLUB S.D. GUADALAJARA C.D. 1 - 1 LEIOA S.D. FUENLABRADA C.F. SAD. 1 - 1 TALAVERA DE LA REINA C.F. GETAFE C.F. SAD 0 - 1 LA RODA C.F. YUGO-U.D. SOCUÉLLAMOS 0 - 2 EBRO C.D. ARENAS CLUB 2 - 1 REAL MADRID CASTILLA C.F. SESTAO RIVER C. 1 - 1 REAL SOCIEDAD S.A.D. PORTUGALETE CLUB 0 - 0 GERNIKA CLUB S.D. LEIOA S.D. 0 - 1 BARAKALDO C.F. TALAVERA DE LA REINA C.F. 5 - 0 GUADALAJARA C.D. LA RODA C.F. 0 - 1 FUENLABRADA C.F. SAD. AMOREBIETA S.D. 1 - 0 MENSAJERO C.D. GERNIKA CLUB S.D. 1 - 1 LEIOA S.D. BARAKALDO C.F. 1 - 0 TALAVERA DE LA REINA C.F. GUADALAJARA C.D. 1 - 1 LA RODA C.F. FUENLABRADA C.F. SAD. 0 - 0 EBRO C.D. GETAFE C.F. SAD 1 - 3 RAYO MAJADAHONDA C.F. YUGO-U.D. SOCUÉLLAMOS 4 - 0 REAL MADRID CASTILLA C.F. TOLEDO SAD C.D 2 - 0 REAL SOCIEDAD S.A.D. TALAVERA DE LA REINA C.F. 0 - 0 GERNIKA CLUB S.D. LA RODA C.F. 1 - 0 BARAKALDO C.F. EBRO C.D. 2 - 0 GUADALAJARA C.D. RAYO MAJADAHONDA C.F. 0 - 1 FUENLABRADA C.F. SAD. SESTAO RIVER C. 2 - 1 MENSAJERO C.D. MENSAJERO C.D. 1 - 0 LEIOA S.D. PORTUGALETE CLUB 1 - 0 TALAVERA DE LA REINA C.F. GERNIKA CLUB S.D. 2 - 0 LA RODA C.F. BARAKALDO C.F. 1 - 0 EBRO C.D. GUADALAJARA C.D. 4 - 0 RAYO MAJADAHONDA C.F. FUENLABRADA C.F. SAD. 2 - 1 REAL MADRID CASTILLA C.F. GETAFE C.F. SAD 0 - 2 REAL SOCIEDAD S.A.D. TOLEDO SAD C.D 0 - 1 AMOREBIETA S.D. ARENAS CLUB 3 - 3 SESTAO RIVER C.
TALAVERA DE LA REINA C.F. 1 - 2 LEIOA S.D. EBRO C.D. 2 - 0 GERNIKA CLUB S.D. RAYO MAJADAHONDA C.F. 0 - 0 BARAKALDO C.F. REAL MADRID CASTILLA C.F. 6 - 3 GUADALAJARA C.D. REAL SOCIEDAD S.A.D. 2 - 1 FUENLABRADA C.F. SAD. ARENAS CLUB 1 - 0 MENSAJERO C.D. MENSAJERO C.D. 3 - 0 TALAVERA DE LA REINA C.F. LEIOA S.D. 1 - 0 LA RODA C.F. PORTUGALETE CLUB 1 - 0 EBRO C.D. GERNIKA CLUB S.D. 2 - 2 RAYO MAJADAHONDA C.F. BARAKALDO C.F. 0 - 1 REAL MADRID CASTILLA C.F. GUADALAJARA C.D. 2 - 2 REAL SOCIEDAD S.A.D. GETAFE C.F. SAD 4 - 2 AMOREBIETA S.D. YUGO-U.D. SOCUÉLLAMOS 1 - 0 SESTAO RIVER C.
LA RODA C.F. 2 - 0 TALAVERA DE LA REINA C.F. EBRO C.D. 5 - 0 LEIOA S.D. REAL MADRID CASTILLA C.F. 3 - 0 GERNIKA CLUB S.D. REAL UNION CLUB SAD 3 - 0 GUADALAJARA C.D. AMOREBIETA S.D. 1 - 1 FUENLABRADA C.F. SAD. TOLEDO SAD C.D 0 - 1 MENSAJERO C.D. MENSAJERO C.D. 1 - 1 LA RODA C.F. TALAVERA DE LA REINA C.F. 1 - 0 EBRO C.D. LEIOA S.D. 0 - 3 RAYO MAJADAHONDA C.F. PORTUGALETE CLUB 0 - 0 REAL MADRID CASTILLA C.F. GERNIKA CLUB S.D. 1 - 1 REAL SOCIEDAD S.A.D. GUADALAJARA C.D. 2 - 0 AMOREBIETA S.D. FUENLABRADA C.F. SAD. 3 - 1 SESTAO RIVER C.
EBRO C.D. 1 - 0 LA RODA C.F. RAYO MAJADAHONDA C.F. 1 - 2 TALAVERA DE LA REINA C.F. REAL MADRID CASTILLA C.F. 2 - 1 LEIOA S.D. REAL UNION CLUB SAD 1 - 1 GERNIKA CLUB S.D. AMOREBIETA S.D. 0 - 2 BARAKALDO C.F. SESTAO RIVER C. 1 - 0 GUADALAJARA C.D. ARENAS CLUB 1 - 0 FUENLABRADA C.F. SAD. YUGO-U.D. SOCUÉLLAMOS 2 - 0 MENSAJERO C.D. EBRO C.D. 2 - 2 MENSAJERO C.D. LA RODA C.F. 1 - 1 RAYO MAJADAHONDA C.F. TALAVERA DE LA REINA C.F. 3 - 4 REAL MADRID CASTILLA C.F. LEIOA S.D. 0 - 4 REAL SOCIEDAD S.A.D. GERNIKA CLUB S.D. 0 - 2 AMOREBIETA S.D. BARAKALDO C.F. 3 - 1 SESTAO RIVER C.
RAYO MAJADAHONDA C.F. 0 - 0 EBRO C.D. REAL MADRID CASTILLA C.F. 6 - 1 LA RODA C.F. REAL SOCIEDAD S.A.D. 3 - 1 TALAVERA DE LA REINA C.F. REAL UNION CLUB SAD 0 - 1 LEIOA S.D. SESTAO RIVER C. 2 - 0 GERNIKA CLUB S.D. TOLEDO SAD C.D 1 - 1 GUADALAJARA C.D. YUGO-U.D. SOCUÉLLAMOS 3 - 2 FUENLABRADA C.F. SAD.